I wore one part of my October choices to the Gok event the other night so thought I'd pop that up first. 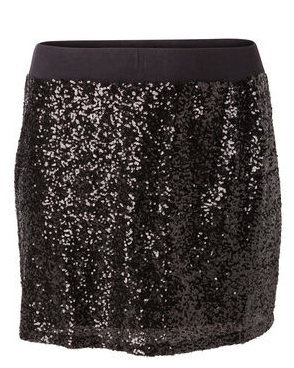 I chose the beautiful Silvia sequin skirt. I've been eyeing it up for some time now but just couldn't think of a way to incorporate it into my wardrobe. I wish I wasn't so practical sometimes! So I threw caution to the wind and decided that with the upcoming festive season I'm sure I'd get a lot of wear out of it! I teamed it with this beautiful off white jumper from M&S, opaque tights and chunky boots. 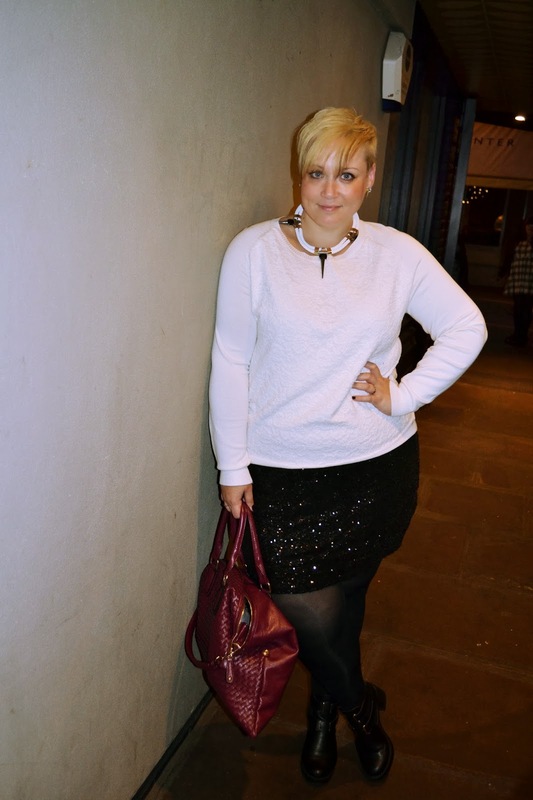 I thought the soft texture of the jumper would be a lovely contrast to the sparkly skirt! The skirt is really comfortable, the lining is a really soft stretchy fabric which allows movement but keeps the skirt firmly in place and well what can I say? It's sparkly!!!!!!!!!! It's the best!!!!! Oh wow! So, i'm kind of in love with that skirt!! I tend to be the same, I often think of the practicability of an item of clothing, but sequins are my downfall, I can't seem to resist some good sequin action!